#HoustonAfterHarvey — The Troubled Movement, Inc. 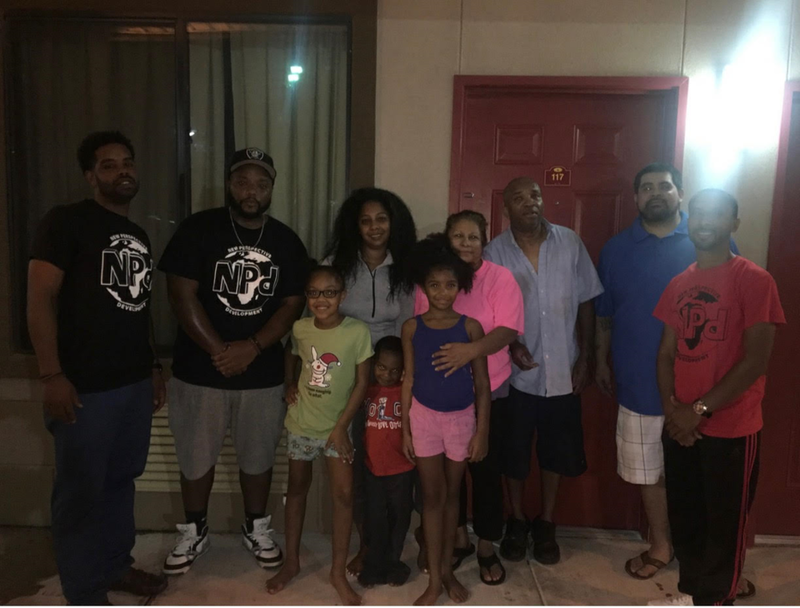 The Troubled Movement, Inc., a 501(c)(3) non-profit organization established in Houston, Texas will be collaborating with other black-owned non-profits, New Perspective Development and B.R.A.N.C.H Houston to plan and host a #HoustonAfterHarvey Recovery Project. We are asking for any monetary/gift cards or in-kind donations that you can provide. Monetary donations will be used for toiletries, household items, and gift cards. Please click here for a list of items that we are collecting. Our mission is to adopt families that have lost everything during this storm. We will individually set up drop-off locations around the City of Houston and distribute items beginning with the list of families, children, and individuals who have reached out to us. We are determined to get out into the community as we’ve been doing and help rebuild our city, starting with the people. We are asking you to support the village and be a branch to others. Your donation is greatly appreciated. We are also accepting volunteers to help us run this project smoothly. Thank you again for being a blessing during this time! If you have any questions, please contact Maranda Evans at marandae@thetroubledmovement.org, Royce Abdalla at branchhouston15@gmail.com, or Quentin Thompson at prodiology@gmail.com. To make a monetary donation, please click the donate button below. All deductions are tax-deductible under the fullest extent of the law. Monetary donations will be used for toiletries, household items, and gift cards. If you would like to volunteer or donate items, please click the "Volunteer/Donor Sign-up Form" below and complete our brief form so that we may contact you with further details. To mail donations, please send to: The Troubled Movement, Inc. | P.O. Box 301071 | Houston, TX 77230. The Troubled Movement Drop-Off Location: 2646 South Loop West | Suite 566 | Houston, TX 77054 | Tues.-Fri. 9am to 2pm ONLY. Each organization has adopted a family to help recover through the Hurricane Harvey aftermath. For the privacy of our families, we only use last names. Below are the items needed for each family. Please sign up to our newsletter at the bottom for updates on these families and more. The Troubled Movement, Inc., B.R.A.N.C.H Houston, and New Perspective Development would like to show GREAT appreciation, love, and support to our sponsors of the #HoustonAfterHarvey Project. It is phenomenal spirits with a heart of giving like Brandon Miller of Be Great Gear, Valaencia Thompson of FROREALDOE, and Channing Beumer of Chicks N Kicks, that allow us to assist those who have lost everything during this storm. Click the logos below to visit the website for each of these powerful entrepreneurs and community heroes! #BeGreat Gear supports Hurricane Harvey victims by selling Be Great Texas shirts. Click here to learn more. New Perspective Development took form in a time of systematic unrest and discrimination that was/is being reflected into today’s society. The visionary, Quentin Thompson, felt that there should be a safe place where like-minded individuals could come together and share their feelings, emotions, and thoughts about what was going on around us. A place where an opinion would be respected and heard with love and sometimes constructive criticism. The group chat, People of Perspective (POP) was created for an outlet and refuge of the open-minded. Quentin begin inviting people he thought had a thirst of knowledge and/or the discipline to learn new perspectives on the events taking place in our world. Before he knew it, the chat had grown to almost 100 people. Click here to learn more about New Perspective Development! Brothers Renovating Adolescence & Creating Heroes is a 501(c)(3) certified non-profit organization/community outreach group based in Houston, Texas. Our mentoring program is geared towards at-risk students who are faced with impoverished neighborhoods, high risk of incarceration, and hurdles for college admissions and graduation. We are building relationships with the local communities, school districts and juvenile court systems in hopes to improve students’ academic performance, behavior, and retention rates. BRANCH is also dedicated to improving the community through various projects. Click here to learn more about B.R.A.N.C.H Houston! The Troubled Movement is continuing our Hurricane Harvey Relief efforts by teaming up with Howard University's Alternative Spring Break Program, Growin Pains, and the All African Peoples Development and Empowerment Project to restore a garden in the Fifth Ward community of Houston, Texas. Project completed March 2018.